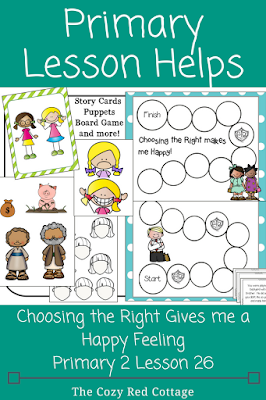 I have some fun lesson helps for this weeks Come Follow Me Lesson. 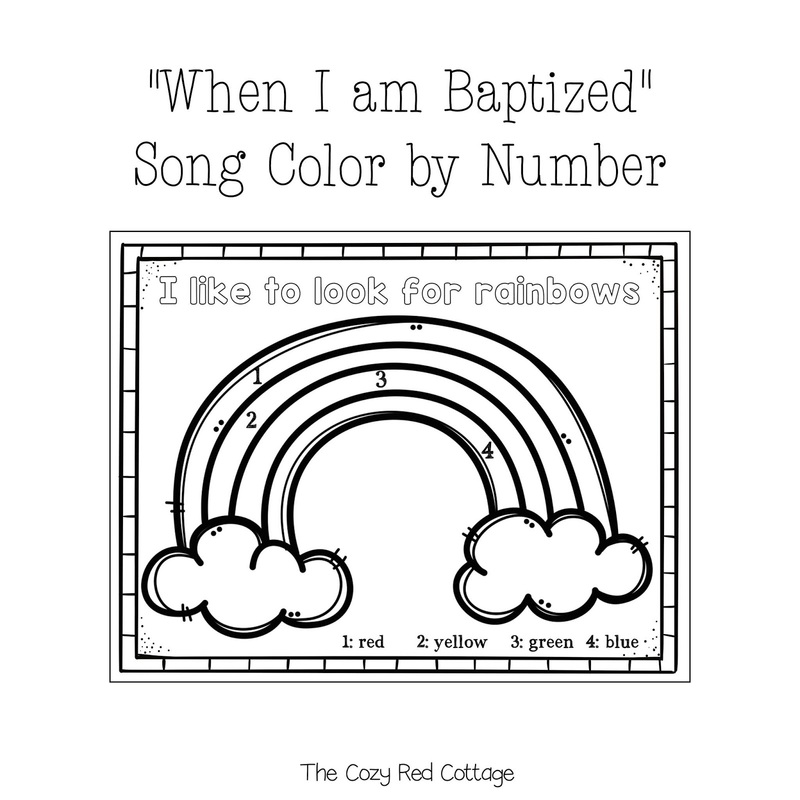 These work great for families and primary classes. You can find all the lesson helps in the downloads at the end of this post. This week I did include a few links to activities I created and shared in the past and those have the links next to their picture in the post. As I read through these chapters and studies the manuals I decided to cover Repentance, Baptism, and the Holy Ghost this week. 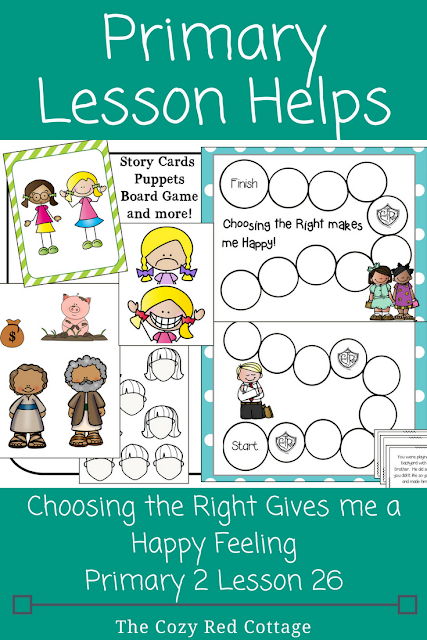 These lesson helps were created with my family and primary class in mind. I hope there are a few things that will work for you too! 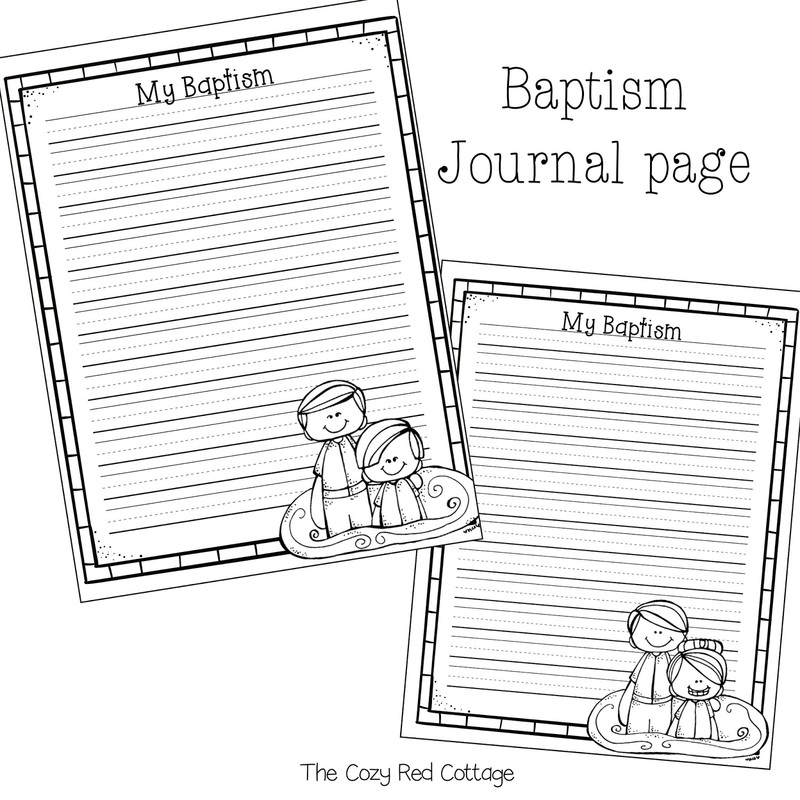 "The mission of John the Baptist was to prepare the hearts of the people to receive the Savior and become more like Him. How did he do it? He proclaimed, 'Repent ye'." (Individual and Family) This would be a great time to talk about repentance. 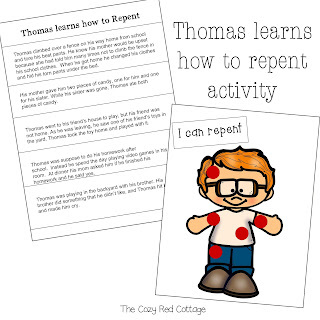 Thomas Learns to Repent Activity: Print Thomas and page of scenarios. Cut the scenarios, title (I can repent), and circles out. Fold scenarios and place in a bowl. Ask how do you feel when you do something wrong? Explain that we often feel sad and have kind of a yucky feeling. This is Thomas and he didn't have a very good day. Lets find out why. Take turns drawing and reading the scenario cards. After each card add a red spot to Thomas (I used tape). Once you are done talk about how Thomas looks and probably feels. 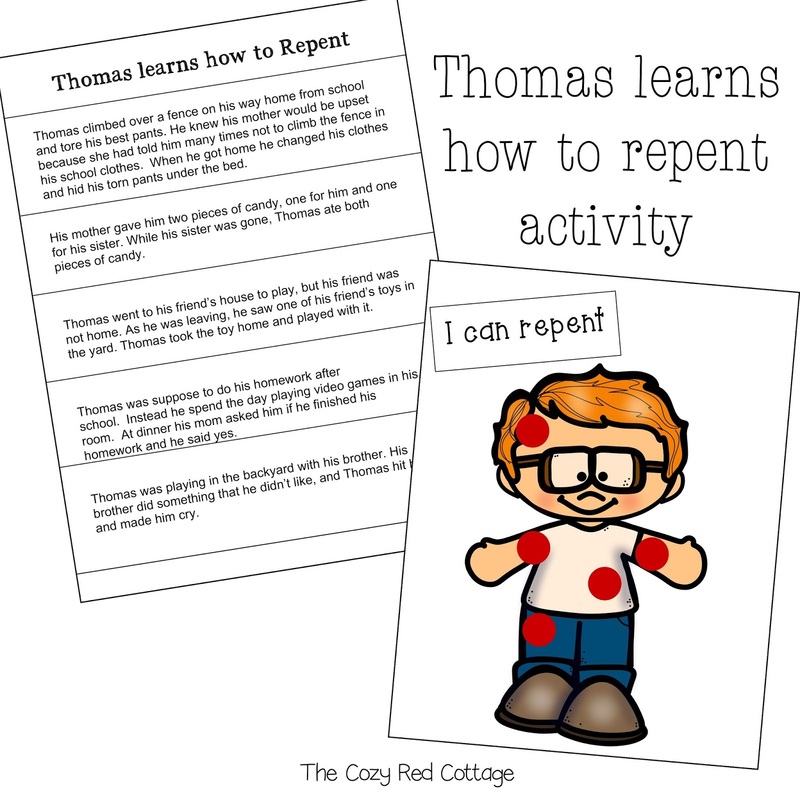 Do we sometimes make mistakes like Thomas? Yes and we don't feel very good do we. Lets see if we can help Thomas. Briefly go over each scenario and ask what should he do now? Explain that this is part of repenting! Take this discussion in whatever direction you feel would be best for your family or class. *another idea-instead of using the spots you can laminate Thomas and have the kids draw spots on him with a dry erase marker. 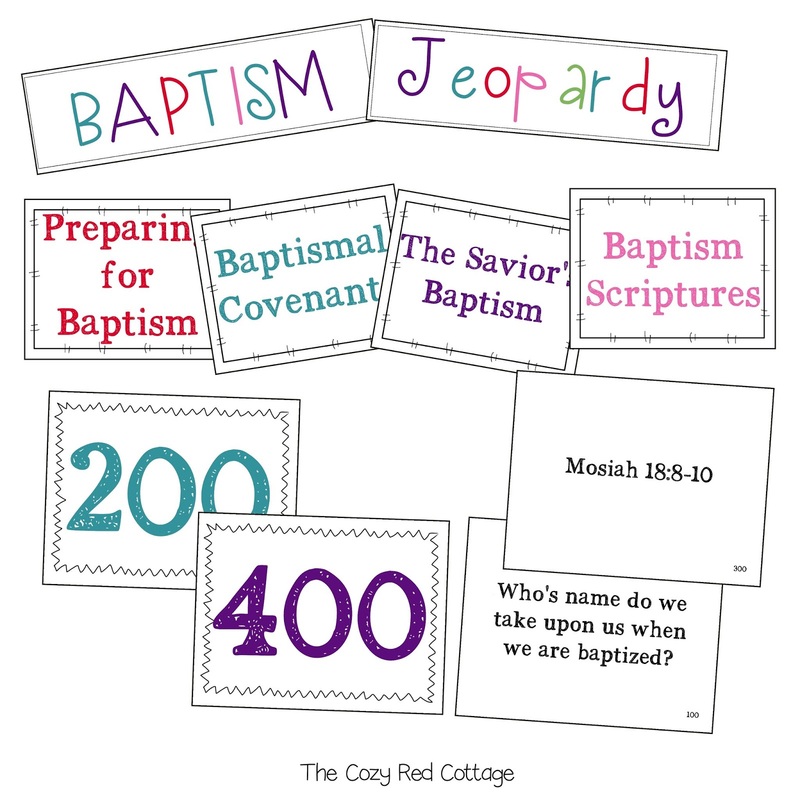 Baptism Jeopardy-I tried to make everything easy and color coordinated for a quick set up. Print and cut. Glue the questions to the back of the number. Each question card has 100-500 written in the corner so you know which number to glue it to. Also there is an answer key for quick reference. 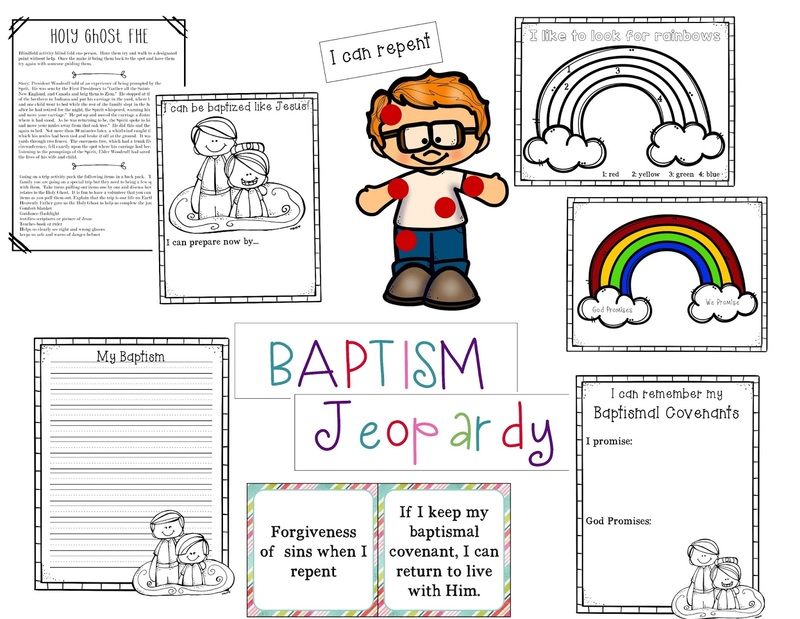 You can check out our Articles of Faith Jeopardy post for more details on set up. 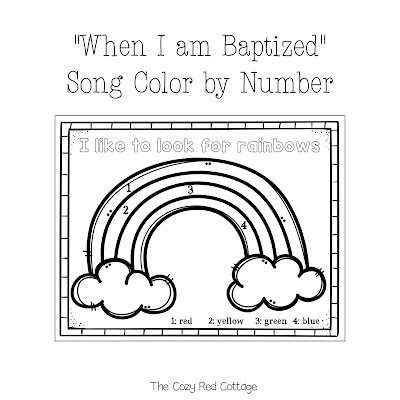 Color by Number page Goes with the Song "When I am Baptized" I love this video with the song playing in background. It would be great to watch while you color. 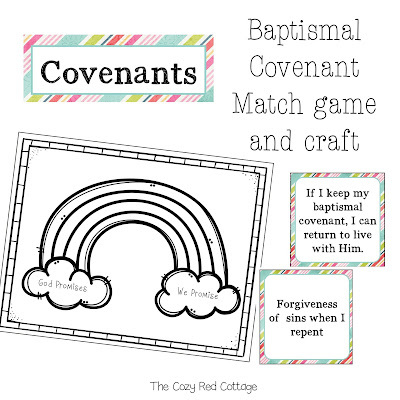 Baptismal Covenant Match game-This is a great way to review the covenants we make at baptism. You can find the matching game Here. For this week I'm going to switch it up a little and continue with the rainbow theme. This match games up with a cute craft for you to display through out the week. You can play two ways-Use the color board and create one together or print a black and white one and let each person create their own. Set up the match game like normal (you do not need the I promise/God promises cards). As you find a match decide who promises. Find the correct cloud and glue a cotton ball inside the cloud. Continue until all matches are found. 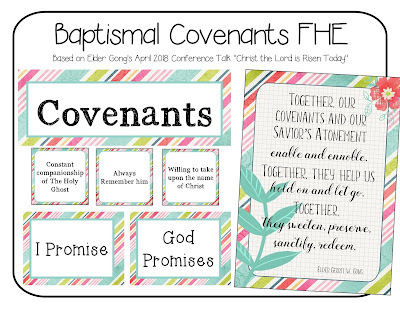 Once you are done you will have a cute rainbow with fluffy clouds to remind you of the covenants you made or will make at baptism. If using the black and white option let the children color. 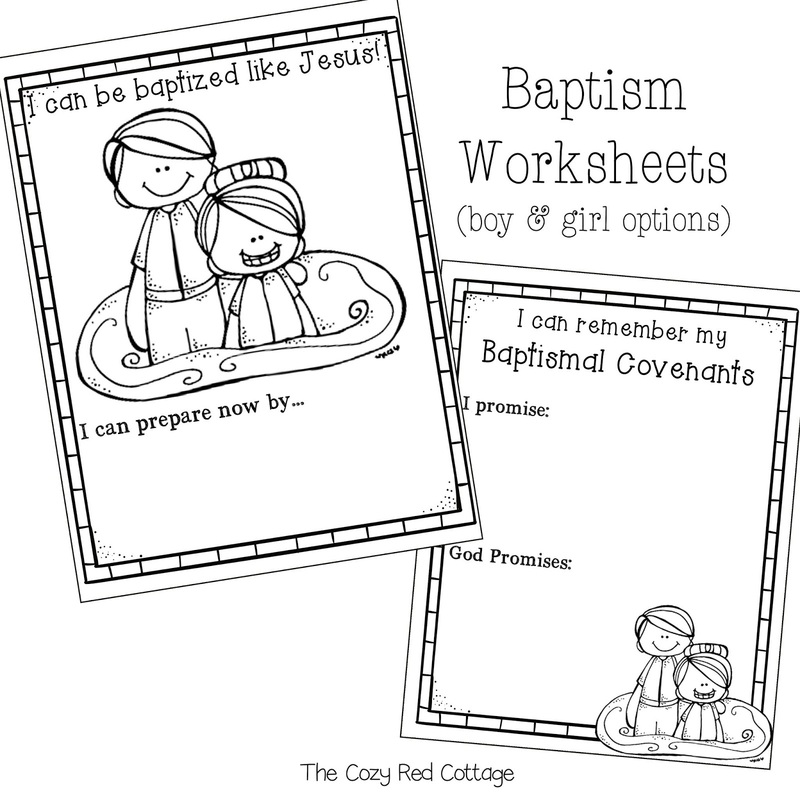 I included some coloring worksheet pages. 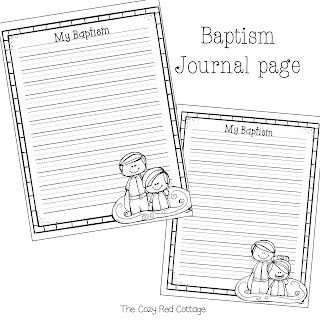 For the younger kids they can write or draw a picture of how they can prepare to be baptized one day. 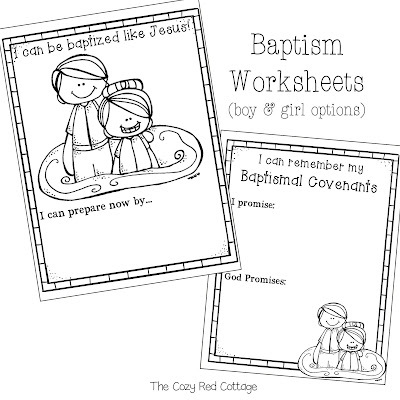 for the older kids they can write the covenants made at baptism. 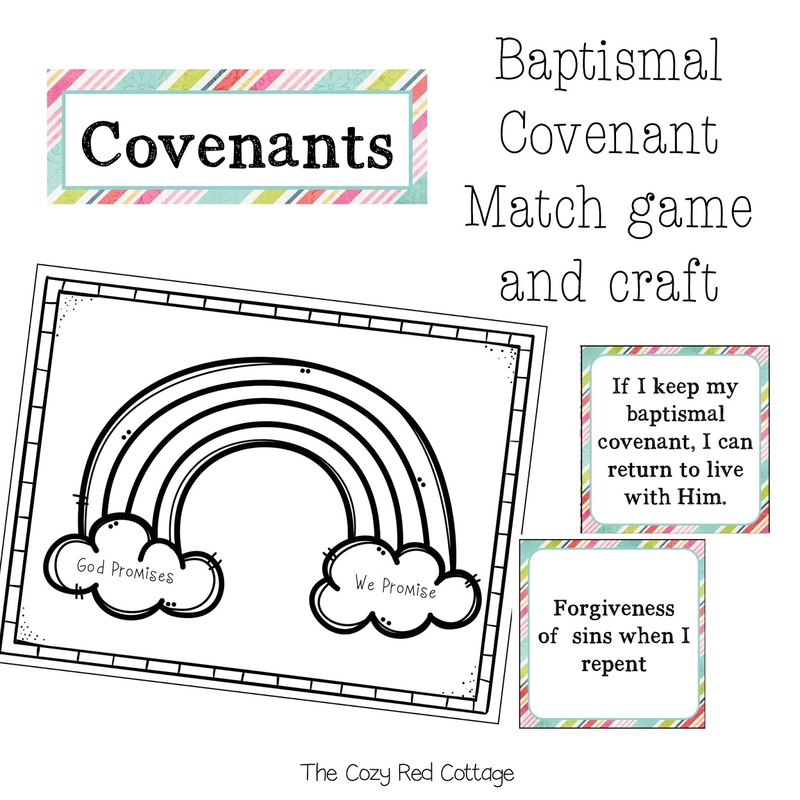 You can use this page with the match game instead of the rainbow activity above. This would be a good week to reflect on our baptism. Print and hole punch to add to a book or you can cut around the frame and glue in a notebook if you are creating a journal like we are. If you need them smaller print 2 to a page. 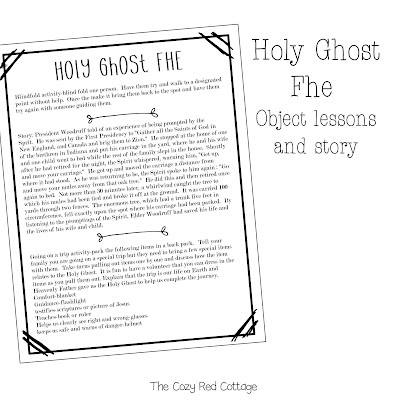 For the Holy Ghost its all about object lessons this week. All the details are in the download for you. You can use one, two, or all three idea. Going on a trip activity-You've probably seen something similar to this. The idea is to have different items to represent different things the Holy Ghost does. I've used this one for Sharing Time and FHE and it was hit. Have one person volunteer to help make sure you "packed" everything. Have the other kids pull out one item at a time and hand or place on your volunteer. They get pretty loaded up and the kids thought it was hilarious. I included a list of suggested items but use what you have and feel free to add additional items as well. I'd love to know what ideas you come up with. That's it for this week. 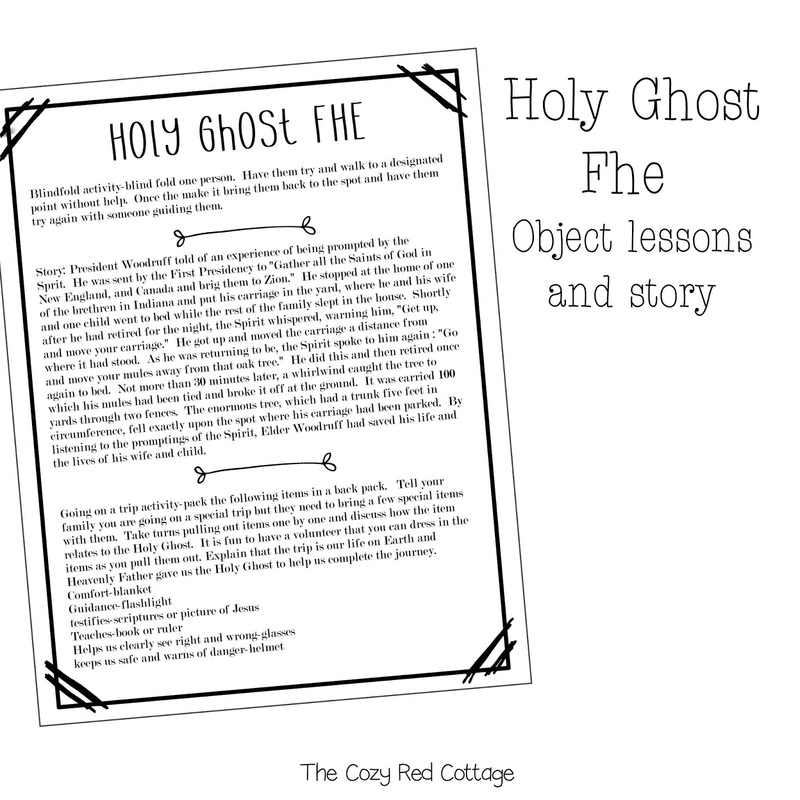 I hope you found something that will work for your family or primary class :) I'll try and add a few pictures of our activities in action later this week (rainbow craft and Holy Ghost FHE). If there are any problems with the download please let me know. You are truly so kind! Your ideas help me get excited to teach my girls. Thank you! Thank you so much for your sweet comment and for stopping by :) I'm so happy its something that works for you family. You are so sweet to share all of this with everyone! Your ideas and games are wonderful and are so helpful with my little ones! I was wondering if you could help me with the Jeopardy game though. 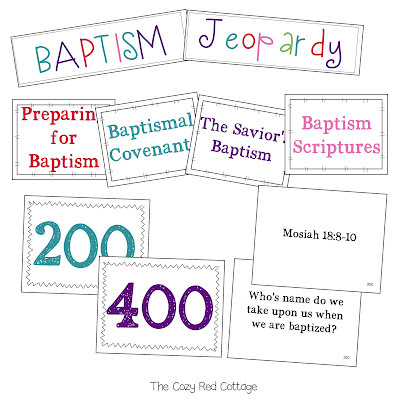 I can't find the link to download the Baptism Jeopardy. Thank you so much! For the Jeopardy game there are actually 2 links to download this week. At the bottom of this post it says "download lesson helps here and here." It's in the 2nd one :) Let me know if you can't find it-it may be an error on my part. I love these lessons and so do my kids. Thanks for all your hard work and for sharing your talents! Thank you, thank you for all the hard work you put into these lessons! We use your ideas each week. It's really helpful for us non-creative people! You are welcome and I'm so happy you are able to use them! Just found your page thanks to Pinterest! The amount of work and time you are putting into each post is amazing and so appreciated! I can't wait to use your blog to help teach my daughter and help me in my primary lessons! Thank you!!! Thank you for your kind comment and I'm so excited you found us! I love your ideas! Thank you SO much for sharing! I used your A-Z last week and was so happy to have found some more great ideas for this week too! We don't have Jeopardy in the UK, so it will be great to have a new game to play with my Valiant Class. I'm already looking forward to next week! I just wanted to thank you so much for sharing your talents. I want to do things like this but lack the talent. 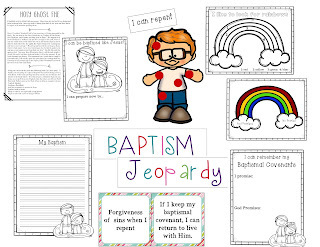 It means so much to me to be able to share these fun activities to help my primary class and grandchildren learn the gospel. Thank you for providing these ideas and free printables. You are very welcome :) Thank you for taking the time to leave such a nice comment. I'm so happy you are able to use these ideas! I just want to say that your work really helps me and my family.